CAMBRIDGE, MA: Legendary saxophonist Branford Marsalis and his tight-knit working band will deliver Four MFs Playin’ Tunes on deluxe 180-gram high definition vinyl just in time for Record Store Day on April 21, 2012. This is the first recording of the Branford Marsalis Quartet with an electrifying young drummer who joined the band three years ago and the results are a nimble and sparkling album, featuring ambitious original compositions by members of the band, a Thelonious Monk classic, and one standard dating to 1930. The record blends the beautiful and subtle ballad sounds of the 2004 release Eternal with the ecstatic contrasts of the critically-acclaimed Braggtown. In other words, this just might be the Branford Marsalis Quartet’s most sublime musical achievement yet. This is the first vinyl release from Marsalis Music, and the label is so excited to be able to offer something special to the folks who support independent music stores. Four MFs Playin’ Tunes will be available on compact disc and digitally on August 7, 2012. Vinyl purchases will come with a download card that enables purchasers to register to receive a free digital copy of the album on August 7. 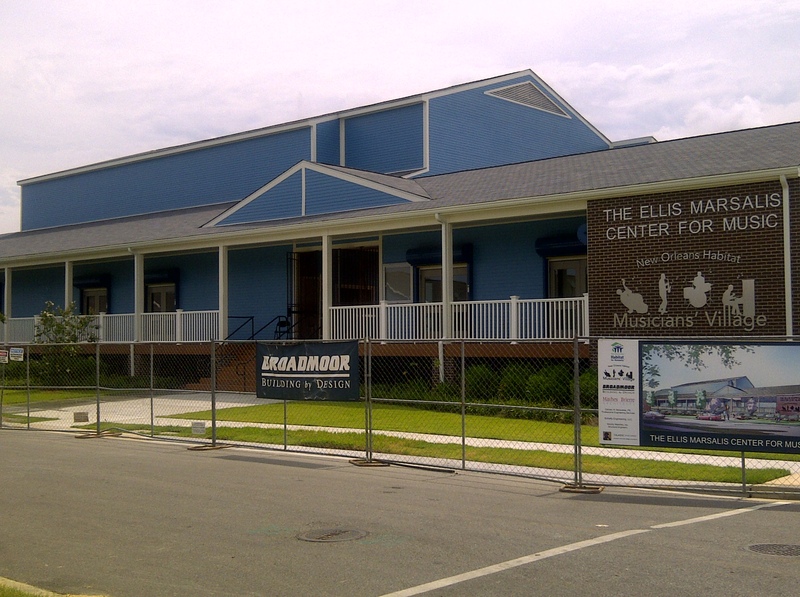 Musicians’ Village, Upper Ninth Ward, New Orleans, LA – August 8, 2011: On August 25, 2011, as the sixth anniversary of Hurricane Katrina approaches, one of the most positive responses to the catastrophe that devastated New Orleans will be unveiled – The Ellis Marsalis Center for Music. Located at 1901 Bartholomew Street in the heart of the Musicians’ Village in the Upper Ninth Ward, and named for one of the city’s most influential pianists, educators and living legends, the Center will serve as a state of the art facility for the preservation and ongoing development of New Orleans music and culture. Iconic Marsalis Family To Release A Live Album, "Music Redeems"
Branford Marsalis continues to prove that there is no context too large or small to contain his gifts. A reigning master of the jazz quartet format, dedicated champion of the duo setting, in-demand soloist of classical ensembles both chamber and orchestral, and session-enhancing special guest on an array of rock, roots and pop performances over the course of his career, his ever-broadening creativity and instrumental command have created the profile of a multi-dimensional musician with few peers among contemporary performers. One setting notably absent from Marsalis’s resume until now has been the unaccompanied solo concert. This most daunting of formats poses particular challenges that were met with his signature blend of serious intent, technical rigor and emotional directness when Marsalis brought his soprano, alto and tenor saxophones to Grace Cathedral on October 5, 2012. This San Francisco landmark, the site of Duke Ellington’s Sacred Concerts in the Sixties and, since 1983, home to recitals at the centerpiece of the annual San Francisco Jazz Festival, proved an ideal setting for a program spanning early and post-bop jazz, baroque and contemporary classical music and spontaneous improvisation. The results can be heard on In My Solitude: Live at Grace Cathedral, the new album that Branford is releasing on his Marsalis Music via OKeh Records imprint on October 21, 2014. Steven Jurgensmeyer began his career as the Art Director at the trailblazing record label Rykodisc, working closely with Grateful Dead’s Mickey Hart, Bob Mould, Robert Cray and Morphine, among others. He joined Rounder Records as Creative Director, working with musicians such as Alison Krauss, Robert Plant, Harry Connick Jr, and Madeleine Peyroux. He is now the principal in his own studio and has worked with Carly Simon, Dan Zanes, Richard Lewis, the legendary Jamaican label Studio One and, of course, Branford Marsalis. His work can be seen at www.stevenjurgensmeyer.com. 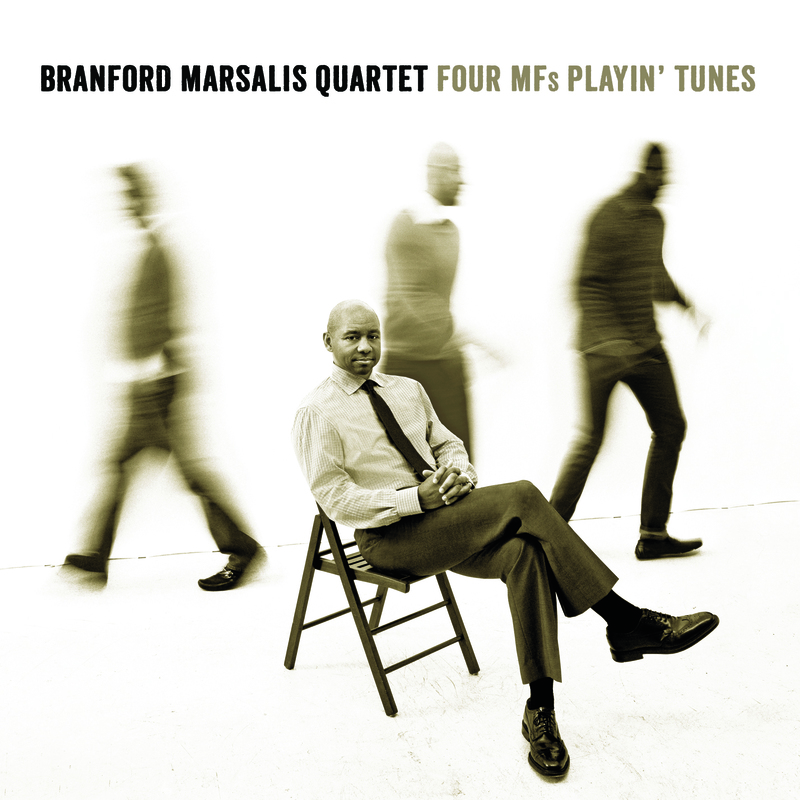 Marsalis Music: You were the Art Director for Branford’s two latest recording projects, Songs of Mirth and Melancholy and Four MFs Playin’ Tunes. Could you please explain your concept for each project? Steven Jurgensmeye r: It was a great pleasure working directly with Branford on Songs of Mirth and Melancholy. He sent me a CD of the music and asked me to “design what I heard.” Upon hearing the music, two things struck me pretty immediately; one was the openness of the music, and the space “between” the notes. The second was the obvious familiarity and intimacy between Branford and Joey. So… you had two really contrasting ideas at play here, and I really wanted to create something beautiful, that would stand the test of time and sit comfortably amongst the classic album covers from Blue Note and Prestige. I knew a sense of scale was going to be a key to success; luckily, we were able to utilize this wonderful, towering wall in the Museum of Fine Arts’ new “Art of the Americas” wing. I loved the stone and the natural light; it really filled the “spacious” role, but also became another player in the composition. The “other thing” I needed to capture was the familiarity Branford and Joey share as musicians. They brought that naturally with their personalities and relationship. There was a lot of clowning around (as the outtakes attest! ), but their body language in the final shot provided exactly what was needed. Photographer Stephen Sheffield caught that moment; I knew immediately that this shot was the cover. The typography is a nod to the simplicity and grace of that classic era of jazz sleeves and to the album’s title. This cover is my favorite piece in my career to date. With Four MFs, we wanted to illustrate the importance of each band member and their musical personality and contributions in this particular quartet, as they had really jelled into a formidable unit. I knew I wanted “motion” to serve as the metaphor for the music and, in turn, highlight each musician in focus, while the others “played” around him or her. A friend recommended photographer Eric Ryan Anderson, who uses a lot of motion techniques; he was game and the shoot was on. As with any shoot, no matter how tightly scripted, you always have to improvise and we worked the quartet hard to get those shots! It was an incredibly difficult shoot; a lot of fun, to be sure, but a long day and hard work. Marsalis Music: What was the biggest challenge during the Four MFs shoot? The Jazz Journalists Association announced their nominations for the 2012 JJA Jazz Awards today, winners to be announced at the June 20 awards party at the Blue Note Jazz Club in New York. The nominations recognize Miguel Zenón’s 2011 release Alma Adentro: The Puerto Rican Songbook in several ways. Miguel is nominated for Alto Saxophonist of the Year, Alma Adentro is nominated for Record of the Year, and the album’s liner notes written by A.G. Quintero-Rivera (available online here) were nominated for Best Liner Notes of the Year.